Sony‘s console-based social network PlayStation Home continues to live on, but it hasn’t really ever reached the heights of popularity that the company had hoped for. As the concepts of “social” and “gaming” become more and more intertwined, however, new opportunities have arrived that Sony is now taking advantage of. VentureBeat brings word that a redesign is in the works for Home, with a launch planned for this fall. The new approach will more fully embrace the social gaming aspects of the service. One of the big changes will see the service’s central plaza area done away with, replaced by a transportation depot known simply as The Hub. In addition to being able to teleport out to other gaming destinations, users will also be able to participate in The Hub’s own built-in gaming features, earning points as they play. Group activities will also be an option here, with one example suggesting that players may need to defend The Hub from an attack. All of this will exist in addition to pre-existing Home features like shopping and entertainment, but gaming will now be the primary focus. The rest of the Home environment will be broken up into genre-specific territories. 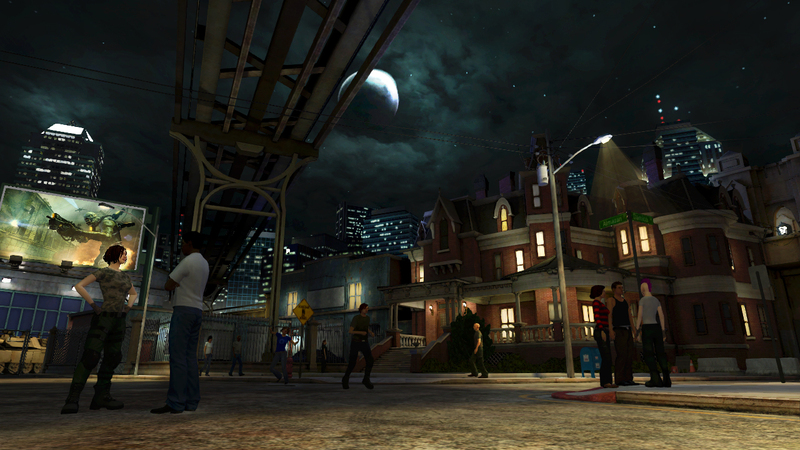 The Action District, for example, serves as a portal to content for actoin games, horror games and things like that. SportsWalk, on the other hand, focuses on… well… I’ll give you one guess. There’s also the Adventure District and Pier Park, servicing adventure games and arcade-like games, respectively. I think this is an important step for Sony to take. PS Home is not without its cooler elements, like game-themed areas and the overall high-quality presentation, but the lack of focus on games — let’s be honest here, the PlayStation 3 is a gaming platform — has always been a sticking point. The advent of social gaming is a golden opportunity for a Home re-branding, and it seems that’s exactly what we’re looking at.